As you research your family history, it can be easy to get confused about how various individuals are related. Fortunately, you can use a printable family tree to sort out the connections and provide a visual representation of your research. In addition to helping you organize your work, these trees make great gifts for holidays, anniversaries, family reunions, and other events. LoveToKnow offers two free printable family trees for your use. Simply click on the image of the tree to download the file. The photo-based family tree offered here is a great choice for gifts and gatherings, and it's especially perfect as a baby gift. It includes five generations, each with space to add a picture. You can record all the vital information about each person, including the dates of that individual's birth, marriage, and death. Print out the tree using a quality ink jet printer or laser printer to create a beautiful record of your family's history. If you need help downloading the printable, check out these helpful tips. If you don't want to add photos or don't have the photos you need to create the tree, this simple tree is a great choice. You can edit it to add your surname and the vital information for each individual in your family. This tree is attractive enough to be a gift, but it also works well as a record for your files. You can create one for each branch of your family and easily reference it to see how various members are related. Be sure to use a quality color printer if you'll be using this tree as a gift. 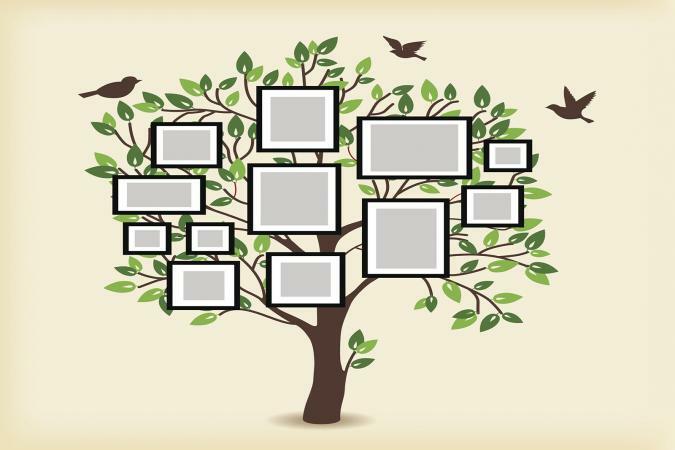 If you're working on a genealogy project with the youngest members of your family or are teaching a unit on family history, consider using a family tree template designed specifically for kids. Trees that involve too many generations or include a lot of information can be overwhelming for children. Instead, try one of these free, easy-to-use, and adorable kids' family tree templates. WikiTree's Blank Family Tree Diagrams have special designs for different ethnic backgrounds. 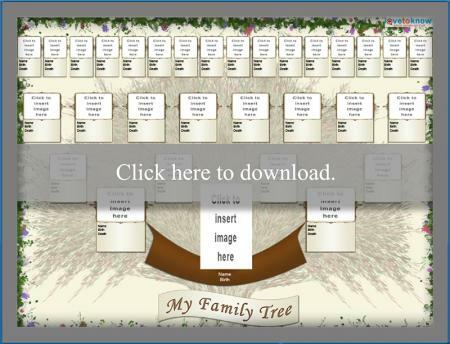 There are many nice family tree options at FamilyTreeTemplates.net. The trees are free to print, but you'll have to pay a small fee to customize them. You'll find a nice selection of trees on Rootsweb.com. The forms are PDF files and are easy to download and print. 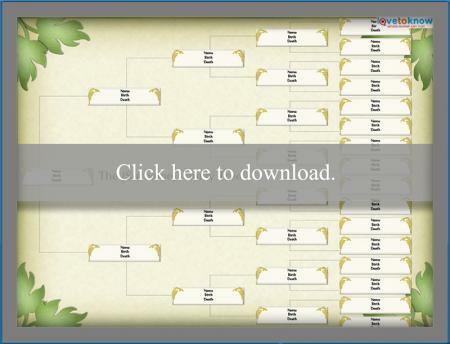 You can also use your genealogy software program to create a tree. Most programs, such as Family Tree Maker, come with a wide variety of templates for printing up your research. These printable family trees aren't the only way to record your ancestry. You can also use free genealogy forms to make a data-oriented tree, a fan chart, a family timeline, and a research record sheet. Have your data handy. You'll have more fun creating your tree if you don't have to dig for information. To make an heirloom quality tree, print on good quality colored paper. Once completed, sign your name and frame it for children or grandchildren. After completing your tree, scan it with a scanner. You can then print it out on iron-on transfer sheets to make t-shirts for a family reunion or quilt squares for a family quilt. Have a good time! Making a printable family tree is a fun project, and it is a wonderful gift for other family members. Whether you're creating a keepsake for your family or trying to organize your research, printable trees are an excellent way to show your family's many connections. Either way, when your tree is completed, it represents the culmination of your research on that branch of your family.